Mixed media on custom wooden panel. 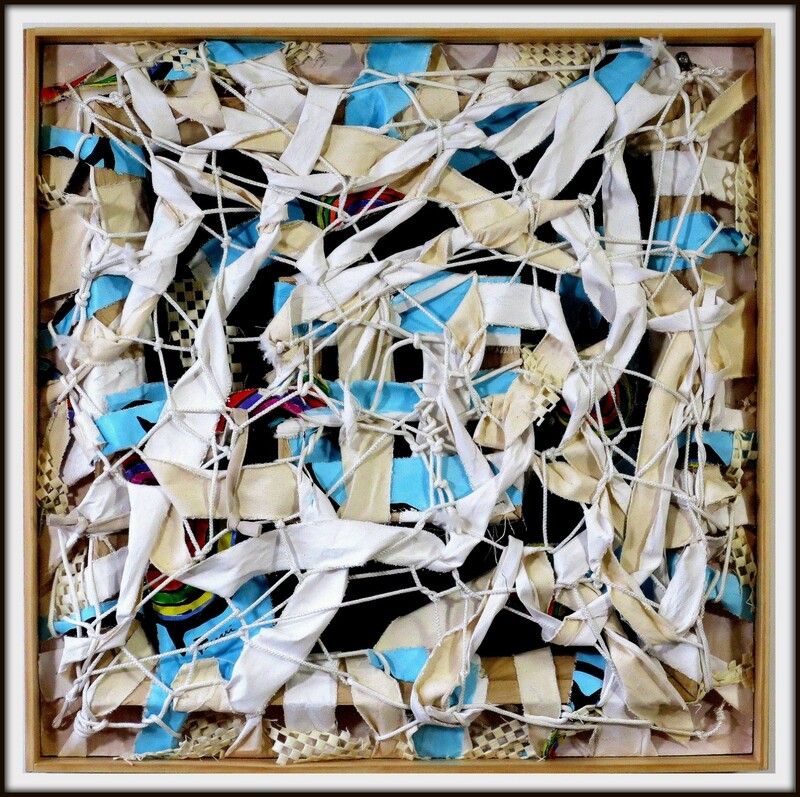 This work contains various repurposed and upcycled elements woven together, including canvas stretchers, canvas scraps, torn pieces from an old painting, rope, and more. Framed and ready to hang.